Feeling fatter and rather less fit than I should be, I have allowed myself to be persuaded to take part in the Blenheim Triathlon in June. 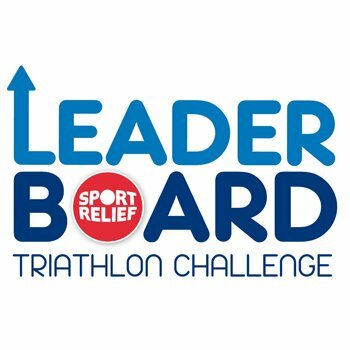 I’ll be competing as a member of the LeaderBoard – a team of Chief Executives from around the UK who have committed to support Sport Relief 2012. I have to admit that I’m fairly terrified by the challenge. I have done a bit of running (though not enough recently to keep me properly fit.) I enjoy the occasional splash about in my local pool. I used to enjoy riding my bike when I was ten. But the thought of joining hundreds of iron men and women on an open water swim in an Oxfordshire lake, followed by a 25 km bike ride, followed by what will almost certainly be a jelly legged waddle for 5km rather than a jog… well, I really am very, very afraid. Training has been, well, challenging. Bikes have changed a bit since I was little. They have gears. Lots of them. I have yet to master the art of putting on a swimming hat without help. And everyone in my village finds my choice of luminous yellow running gear rather too amusing. So, why am I and the other (rather fitter, slimmer and better turned out) members of the team putting ourselves through this torture? It’s simple. We’re fundraising to help people living unimaginably tough lives both at home in the UK and across the world’s poorest countries.